Home > News > Penn Yan PD issues warning after arrest in Yates Co.
A Penn Yan man was arrested after an investigation into the sale of a controlled substance in Yates County. The Penn Yan Police Department simultaneously put out a warning — saying that drugs are being masked as heroin, which is establishing a pattern in the region. 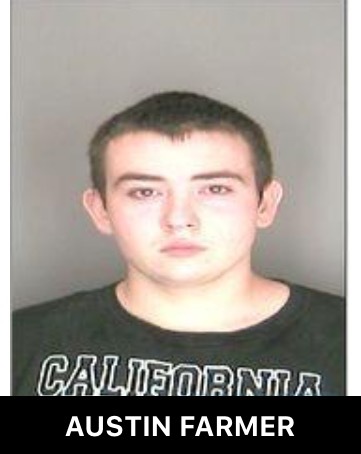 Authorities say Austin W. Farmer, 20, of Penn Yan was arrested on a superior court warrant for two counts of criminal sale of a controlled substance in the third degree and two counts of criminal possession of a controlled substance. The charges stem from an investigation into the sale and possession of two controlled substances. Farmer had allegedly sold heroin, fentanyl and quetiapine. Fentynyl is a synthetic opioid that can be fifty times stronger than heroin, while quetiapine is an antipsychotic medication used to treat depression and can be used as a sleep aide. At the time of the arrest Farmer was already being held in the Yates County Jail on other charges where he is accused of selling heroin and ketamine. Farmer was arraigned on the new charges and remanded to the Yates County Jail on $25,000 cash bail or $50,000 secured bond. The Penn Yan Police Department says that this case continues a pattern that officers are seeing in the field where drugs are being sold as heroin — but actually contain other drugs. Some of these drugs are more potent than heroin and when combined with heroin can amplify the effects on a person’s body leading to a higher likelihood of overdose.